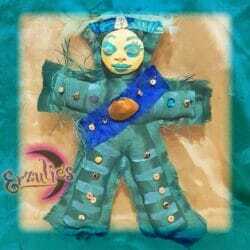 New Orleans Voodoo Dolls ~ The most beloved Lwa of all! 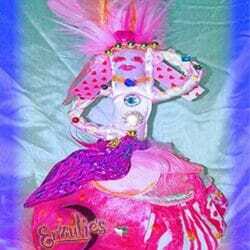 Mistress Erzulie-Freda handles all matters of the heart, romance & love! 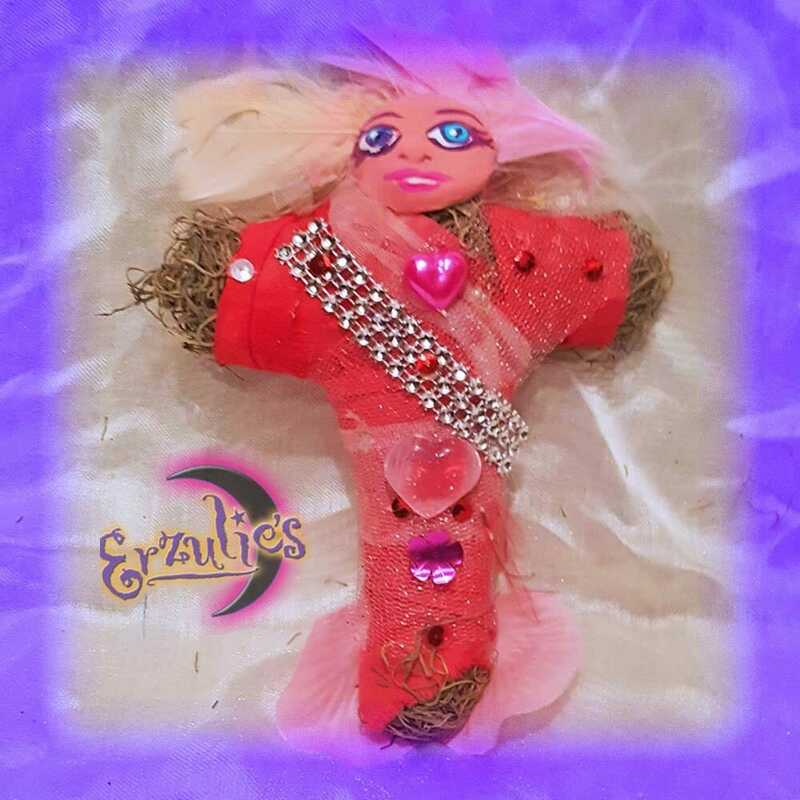 New love, drawing love, romance, healing from heartbreak, and self love are all in her realm of blessings. 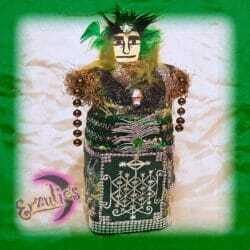 She is exquisitely beautiful, very helpful in relationships, bringing new love into your life & helping with prosperity. 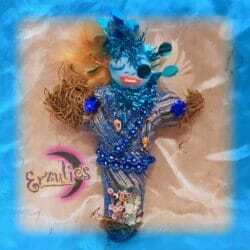 Erzulie Freda loves anything decadent, fancy & expensive. These magical New Orleans Voodoo Dolls are dressed in hand-stitched fabrics and handcrafted with a gorgeous, hand-sculpted face, Spanish Moss, semi-precious stones, fetishes, charms, feathers and decorated with magical items.